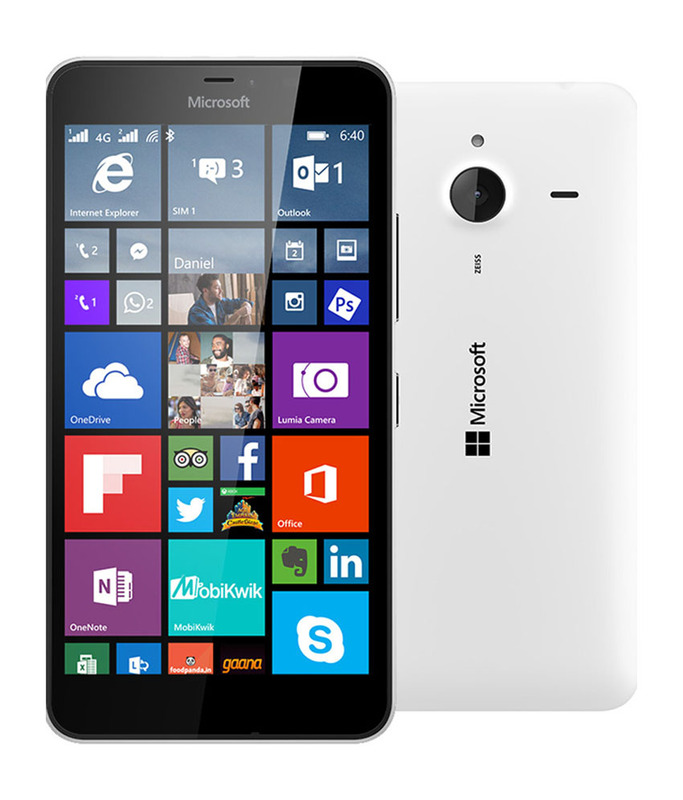 Microsoft Lumia 640 XL LTE smartphone sports a 5.7 inch IPS LCD display. It is loaded with the Windows Phone 8.1 OS. It is powered by the 1.2GHz quad-core processor. It comes with 1GB RAM, 8GB internal memory storage and a microSD slot for memory storage expansion up to 128GB. It has a 13MP auto focus rear camera with flash and a 5MP front selfie camera.